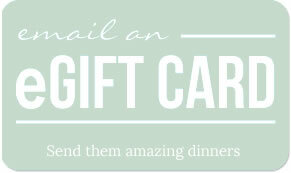 Dinner A’Fare gift cards are the perfect give for friends and family. Taste tested for over 13 years. And fool proof! A super simple recipe card. We’ve done all of the chopping for you! Ingredients to prepare the dinner you ordered, separated in bags so you can add what you want and leave out what your kids don’t. 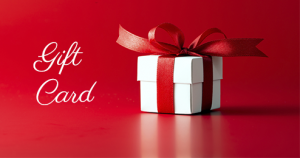 Use the brown paper wrapping as a cooking mat, wrap it up and toss it in the recycling bin. A delicious and easy dinner, family time and getting back to the dinner table with healthy food you and your kids love! 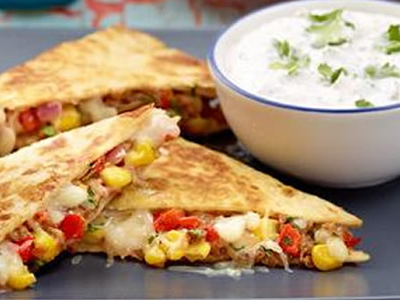 Our quesadillas are always a huge hit. These are no exception. We start with refried black beans and plenty of sharp cheddar cheese, then add sautéed red bell peppers, corn, and red onion. Our crispy flour tortillas are then topped with our creamy salsa to make the perfect Southwestern dinner. 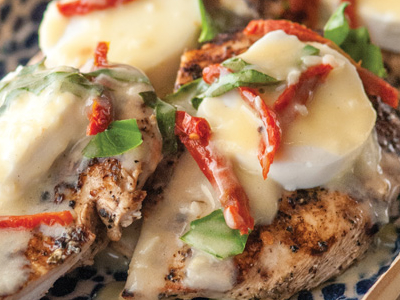 *Make this dinner family friendly by using cheese only. 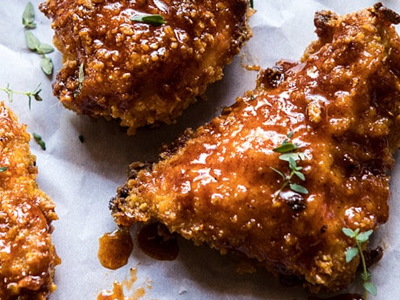 You are going to love our take on the famous Nashville Hot Chicken. We bread our boneless skinless chicken breasts in cornflakes and spices, then bake in the oven and finish with our delicious gooey spicy honey butter sauce. You will find our lightly seasoned, boneless, skinless chicken breasts perfect when you sauté them up to a golden brown. 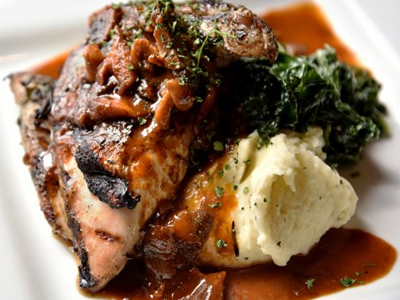 Adding our tangy and robust sauce made with aged balsamic vinegar, garlic, thyme and honey makes this dish a rival to your favorite restaurant version! Serve over our creamy mashed potatoes and this is a complete dinner in minutes! 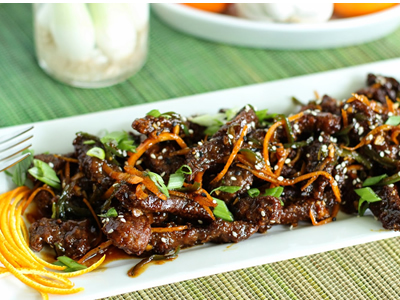 The delightful flavor combination of orange marmalade, beef broth, soy sauce, and garlic adds a unique Asian flare to our tender flank steak strips. Top it with crispy chow mein noodles and you will find that the whole family loves this dish! Lean chicken breasts are pounded thin and dipped in lemon juice and seasoned breadcrumbs and pan fried to golden perfection. 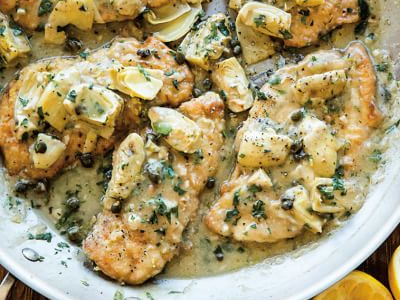 Serve with tender mushrooms and artichoke hearts and you have a family friendly Italian dinner on your hands. This beautiful flaky tilapia is crusted with jerk seasoning, a combination of onion, garlic, thyme, allspice, cinnamon, nutmeg, and cayenne pepper. This dish tosses up some spicy island flavors! 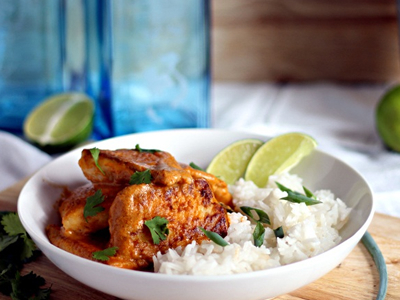 Paired with jasmine rice flavored with rich coconut milk will create the perfect balance. According to urban legend, a cook in a Chinese restaurant on Bourbon Street is to thank for this delicious recipe. 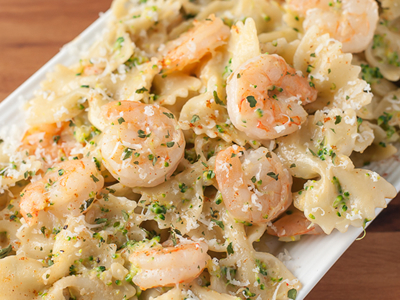 Of course we put a little Dinner A’Fare spin on this staple dish. 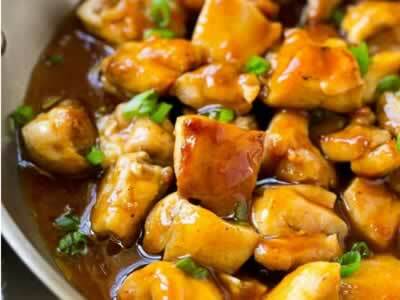 Our tender chicken breasts are delicately prepared in a sweet sauce of ginger, apple, brown sugar, cider vinegar and soy. 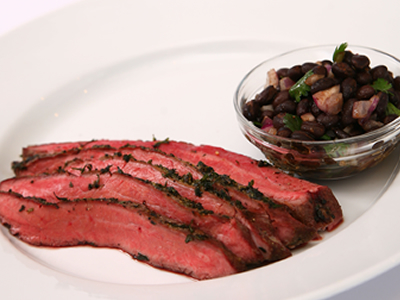 Our famous flank steak is back, seasoned with lemon pepper, garlic, basil, soy, and cilantro. Drizzle on the mouth-­‐watering vinaigrette made of crushed black beans, olive oil, cumin, vinegar, cilantro and onion! This is a fabulous dish to serve on Saturday night when the new neighbors are over, and always perfect for the grill!